Click the button below to add the TIN TACKER KIT to your wish list. 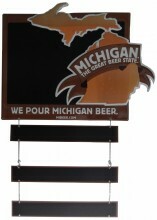 Tin tacker kit includes 1-Michigan The Great Beer State chalk tin tacker main panel, 4-chains, 6-"S" hooks and 3-small chalkboard shingles. 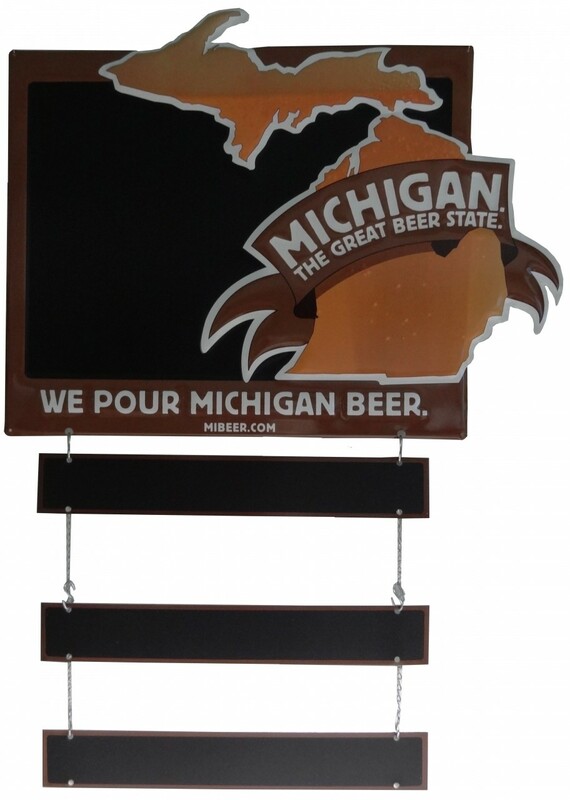 Main panel measures 24"W x 20"H, including the portions that extend beyond the board; small shingles measure 18"W x 2.75"H.
TIN TACKER, 18" X 9"